Today I was installing SQL Server 2012 on my Windows Server 2012 instance and I ran into a bit of problems. 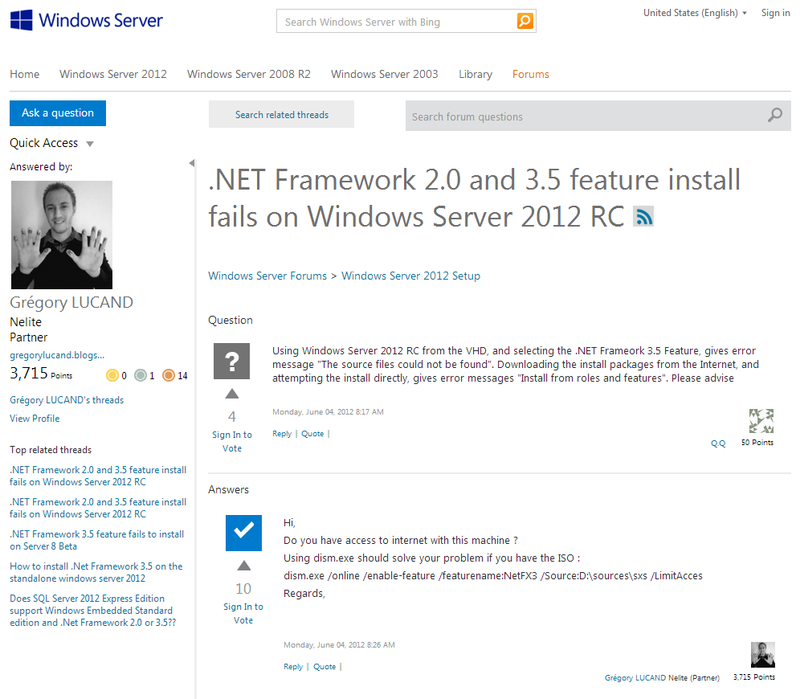 Right out of the box, it didn't work because SQL Server couldn't locate .NET 3.5 stuff. Installing .NET 3.5 ( 'Add roles and features' ) didn't either just by clicking. I needed to specify a location for alternative sources. I found the answer on this blogpost how to deal with the problem.